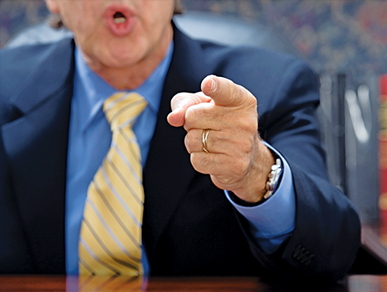 Proving discrimination and retaliation in employment law cases. Even with “at-will” employment in Texas, state and federal laws—including discrimination and retaliation statutes—prohibit employers from terminating or taking other negative actions against an employee for certain illegal reasons. In almost all employment cases, a central issue is: How does the employee show that the employer acted with an illegal motivation? The same is even truer today. 1. Barnes v. Yellow Freight Sys., Inc., 778 F.2d 1096, 1101 (5th Cir. 1985); See also United States Postal Serv. Bd. of Governors v. Aikens, 460 U.S. 711, 716, 103 S.Ct. 1478, 75 L.Ed.2d 403 (1983) (acknowledging that discrimination cases present difficult issues for the trier of fact, as “[t]here will seldom be ‘eyewitness’ testimony as to the employer’s mental processes”); Mission Consol. Indep. Sch. Dist. v. Garcia, 372 S.W.3d 629, 634 (Tex. 2012) (recognizing that “motives are often more covert than overt, making direct evidence of forbidden animus hard to come by”). 2. Desert Palace, Inc. v. Costa, 539 U.S. 90, 100 (2003) (citations omitted). 3. But see Sabine Pilot Service, Inc. v. Hauck, 687 S.W.2d 733, 734-735 (Tex. 1985) (exception to at-will employment if employee terminated for sole reason of refusal to perform illegal act). 4. Fifth Circuit Pattern Jury Charges 11.1, 11.5 (2014); Texas Pattern Jury Charge 107.6, 107.9 (2014). 5. Torres v. City of San Antonio, No. 04-15-00664-CV, 2016 Tex. App. LEXIS 12907 (Tex. App.—San Antonio 2016); Leal v. McHugh, 731 F.3d 405, 415 (5th Cir. 2013); Tex. Dep’t of Human Servs. v. Hinds, 904 S.W.2d 629, 636 (Tex. 1995). 6. Reeves v. Sanderson Plumbing Prods., 530 U.S. 133, 143 (2000). 7. Id. at 147 (internal quotation marks and citations omitted). 8. See, e.g., Heinsohn v. Carabin & Shaw, P.C., 832 F.3d 224, 237 (5th Cir. 2016); Quantum Chem. Corp. v. Toennies, 47 S.W.3d 473, 481-82 (Tex. 2001); Gonzalez v. Champion Techs., Inc., 384 S.W.3d 462, 474–76 (Tex. App.—Houston [14th Dist.] 2012, no pet.). 9. See, e.g., Young v. UPS, 135 S. Ct. 1338, 1356 (2015) (Alito, J., concurring) (“Of course, when an employer claims to have made a decision for a reason that does not seem to make sense, a factfinder may infer that the employer’s asserted reason for its action is a pretext for unlawful discrimination.”); Laxton v. Gap Inc., 333 F.3d 572, 580 (5th Cir. 2003); Boehms v. Crowell, 139 F.3d 452, 458 (5th Cir. 1998). 10. Burton v. Freescale Semiconductor, Inc., 798 F.3d 222, 239-40 (5th Cir. 2015); Laxton, 333 F.3d at 580; Evans v. City of Houston, 246 F.3d 344, 355-56 (5th Cir. 2001). 11. Burton, 798 F.3d at 232. 12. Id. at 236; Goudeau v. Nat’l Oilwell Varco, L.P., 793 F.3d 470, 477 (5th Cir. 2015). 13. Burrell v. Dr Pepper/Seven Up Bottling Group, Inc., 482 F.3d 408, 412-16 (5th Cir. 2007); Bowen v. El Paso Elec. Co., 49 S.W.3d 902, 910-11 (Tex. App.—El Paso 2001, pet. denied). 14. Burton, 798 F.3d at 235-36; Bosque v. Starr Cnty., 630 F. App’x 300 (5th Cir. 2015) (per curium); Gee v. Principi, 289 F.3d 342, 347-48 (5th Cir. 2002). 15. Burton, 798 F.3d at 235. 18. Id. See also Tolan v. Cotton, 134 S. Ct. 1861, 1866 (2014) (per curiam) (court may not improperly weigh evidence and resolve disputed issues or testimony in favor of summary judgment movant). 19. See, e.g., Montgomery County Hosp. Dist. v. Brown, 965 S.W.2d 501, 502 (Tex. 1998) (employment may be terminated “for good cause, bad cause, or no cause at all”). 20. Medina v. Ramsey Steel Co., 238 F.3d 674, 681-82 (5th Cir. 2001). 21. Bosque, 630 F. App’x at 304; Alvarado v. Texas Rangers, 492 F.3d 605 (5th Cir. 2007); Patrick v. Ridge, 394 F.3d 311, 316 (5th Cir. 2004). 22. Goudeau, 793 F.3d at 477. 23. Machinchick v. PB Power, Inc., 398 F.3d 345, 354 n. 29 (5th Cir. 2005). 24. Wal-Mart Stores, Inc. v. Amos, 79 S.W.3d 178, 183 (Tex. App.—Texarkana 2002, no pet.). See also Clemons v. Texas Concrete Materials, Ltd., No. 07-09-0034-CV, 2010 WL 4105662, 2010 Tex. App. LEXIS 8394 (Tex. App.—Amarillo Oct. 19, 2010, no pet.) (no other employees had ever been discharged for violation of radio policy and plaintiff’s termination was exception to progressive discipline rule); E.E.O.C. v. Chevron Phillips Chemical Co., LP, 570 F.3d 606, 623-624 (5th Cir. 2009). 25. Lee v. Kan. City S. Ry. Co., 574 F.3d 253, 261 (5th Cir. 2009). 26. Shattuck v. Kinetic Concepts, Inc., 49 F.3d 1106 (5th Cir. 1995). 27. McDonnell Douglas Corp. v. Green, 411 U.S. 792, 805, 93 S. Ct. 1817, 1825 (1973); Clemons, 2010 Tex. App. LEXIS 8394 at *23. 28. Mooney v. Lafayette County Sch. Dist., 538 Fed. Appx. 447, 454 (5th Cir. 2013); Rogers v. City of Fort Worth, 89 S.W.3d 265, 281 (Tex. App.—Fort Worth 2002, no pet.). 29. Strate v. Midwest Bankcentre, Inc., 398 F.3d 1011, 1019-1021 (8th Cir. 2005). 30. Russell v. McKinney Hosp. Venture, 235 F.3d 219, 224 (5th Cir. 2000). 31. Brown v. CSC Logic, Inc., 82 F.3d 651 (5th Cir. 1996). 32. Goudeau, 793 F.3d at 475-76. 33. Numerous courts have recognized that because employment cases involve questions of motive, intent, and credibility, summary judgment is rarely appropriate. See, e.g., Fierros v. Tex. Dep’t of Health, 274 F.3d 187, 190-91 (5th Cir. 2001) (“The Supreme Court recently emphasized the paramount role that juries play in Title VII cases, stressing that in evaluating summary judgment evidence, courts must refrain from the making of ‘credibility determinations, the weighing of the evidence, and the drawing of legitimate inferences from the facts,’ which ‘are jury functions, not those of a judge.’”); Thornbrough v. Columbus & Greenville R. Co., 760 F.2d 633, 640 (5th Cir. 1985). ROBERT W. SCHMIDT is an attorney with Crews Law Firm in Austin, representing employees in discrimination and retaliation litigation. He is a past chair of the Austin Bar Association Labor & Employment Law Section, a board member of the Texas Employment Lawyers Association, a graduate of the Trial Lawyers College, and a frequent speaker on employment law.